Which Colours Suit Lighter Skin Tones? Which Colour Lace Wigs Suit Medium Skin Tones? Lace wigs now come in all sorts of colours from single solid colours to ombre and dip-dye colours and choosing a hair colour can be difficult if you’re not quite sure which colours would most complement your skin tone. It may sound factitious but the fact is every colour of hair can work with every colour of skin, as long as the tone of the hair colour complements the tone of the skin colour. The general view is that whatever the skin colour, everyone has either a warm or a cool skin tone and knowing what your skin tone is can also help with choosing the hair colour for your wig. 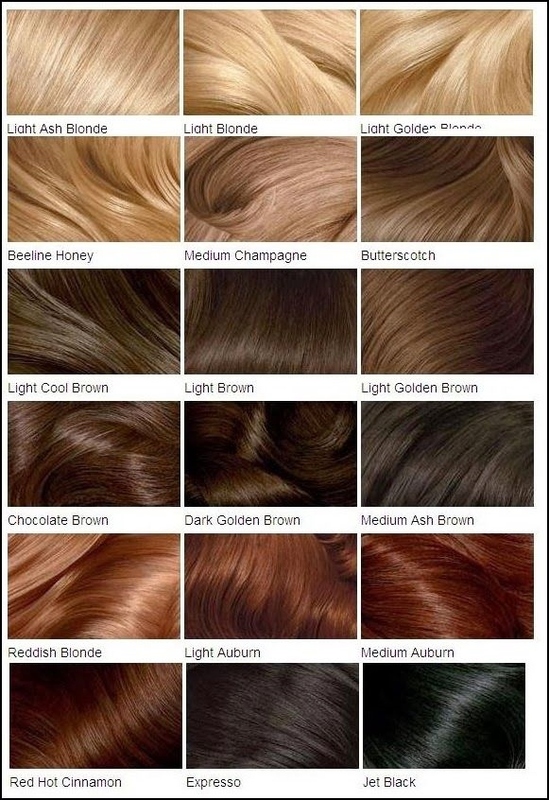 The best place to start is with the skin tone chart to the right from http://www.vapourbeauty.com (they do airbrush make-up) and then peruse the colour charts for ideas and inspiration as to your next choice of hair colour for your wig. Click on the images to enlarge (some can be enlarged twice - look for the expansion box top right of the enlarged image window). Off black can be worn (it can make very pale skin appear paler). Browns – warm coffee browns through to lighter café latte browns with multi-tonal qualities so the colour is not flat. Blondes – golden blondes, honey blondes, warm sandy beach blonde, light blondes (not so light they make the skin seem washed out) – keep warmth in the blonde if you have cool undertones as this will add warmth to your skin tone. 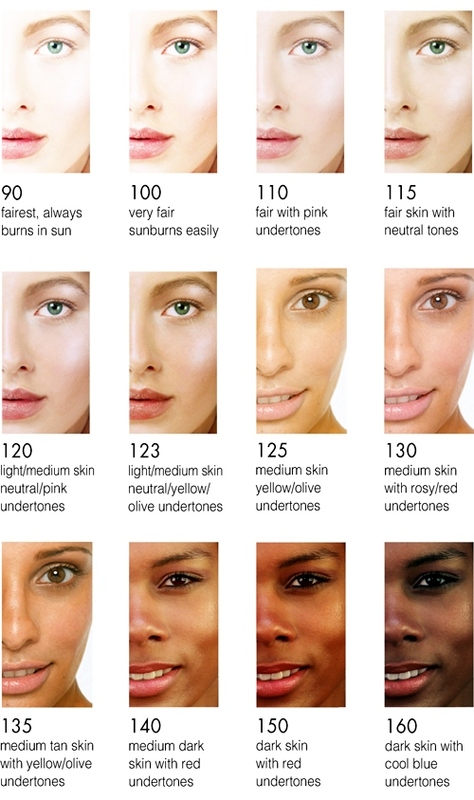 Below is a breakdown of the colour shades for each main colour (black, brown, red, blonde and fancy) that complement light and cool skin tones as well as light and warm skin tones. 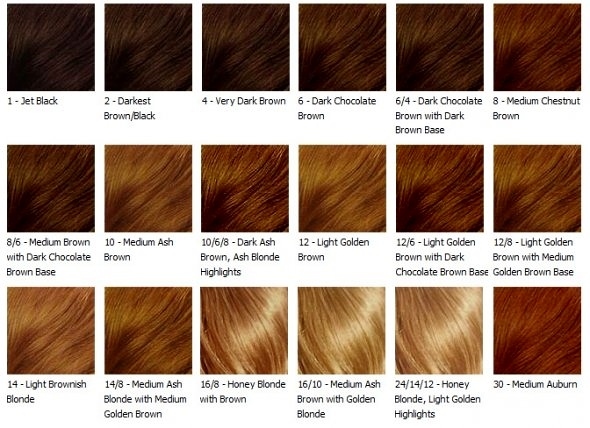 Neutral skin tones are the most versatile and wear any wig hair colour. Wine, mahogany, burgundy, auburns and plums. Warm pastels, orange based reds, silver with ash blonde tones. Mahogany, chocolate, dark browns, chestnut browns and fawn browns. Orange based reds, copper, rusty reds, striking reds, plums, auburns and burgundy. Honey blondes, caramel blondes and strawberry blonde. Lilac, pale blues, pastel colours. The darkest colours can tend to make pale skin seem paler and wash out cool skin tones. 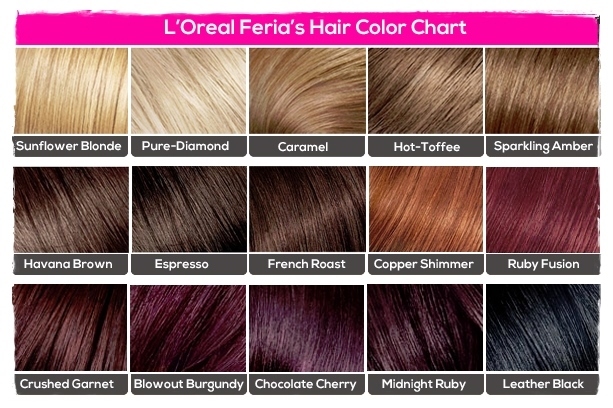 One way to work around would be to add subtle highlights (not streaks) or to choose the warmest shade of a dark colour like espresso or the crushed garnet in L'Oreal Feria's hair colour chart (last hair colour chart on the page). If you'd like more info, then check out the Lace (and traditional cap) wig Q&A section or you can keep up with the next guide or article about wigs, hairpieces and hair extensions by joining our blog.